Having a video produced for your business can be a budget breaker, but for many businesses to stay competitive today, it is a necessity. In fact, according to Pew Research Center, digital video advertising is growing rapidly at 43.5% year over year. My answer: “Anywhere from $1000 to millions of dollars.” I’m not kidding. In fact, according to superbowlcommercial2015.com, Chrysler’s “Imported from Detroit” commercial in 2011 for the Super Bowl cost a whopping $12.4 million to make! Where it will be shot. How large the crew is. The list goes on, but ultimately, the cost of your video will be determined by your budget, your vision and your goals. I often work with my clients to reduce the cost of their videos. At the same time, the videos must still accomplish their goals! Check out our very own video here at Business.com! It’s less expensive, and sometimes significantly better than using professional talent. For example, if you’re demonstrating something that takes skill, utilizing your trained employee will be preferable to training an actor. However, sometimes it’s not the best choice. Read more about this in an article I wrote called Choosing Acting Talent: Professional vs. Amateur. Do you have relatively decent writing skills? If so, give it a shot! It can save you thousands, and you know your business better than anyone. Non-professional script writers often have a tendency to include too much in the script, so check the length by reading it aloud at a pace that’s conversational. Find a production company who will modify your script for video effectiveness. That’s far less expensive than having them write from scratch, and depending on the length and complexity of the script, we often include that as a complimentary service. Although shooting in a studio can be more glamourous, if you have an office, a conference room or some other quiet space to shoot in, it doesn’t cost anything extra! A studio is normally a room with high ceilings, four walls with lights and sound absorption material. Everything else must be added in, and you’ll be charged. For example, if you want an executive office setting, you’ll pay to have the furnishings brought in and the walls decorated. Alternatively you can utilize your own space as your set, or have your production company bring a portable backdrop or a green screen. With green screen you can give the impression that you’re anywhere in the world; even in a far more luxurious office than you have! Yes, sometimes paying more can actually save you money. There are plenty of very inexpensive videographers out there; and at first glance, you may think you’re effectively saving money by hiring one of them. For example, there are many wedding videographers who with exaggeration and self-promotion label themselves corporate videographers. Most of them don’t have significant and appropriate experience with business video. It’s the same with video. It’s difficult and more expensive to repair a project gone wrong than to pay a little more up front to get quality and value. Don’t waste your money. Find a company with a credible client list that understands complex business concepts for video. You’ll get it right the first time, save money in the long run and end up with a video that’s more likely to help you accomplish your goals. 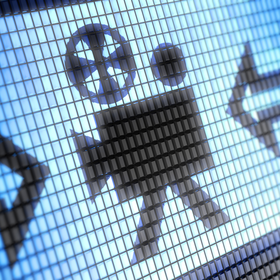 You can slash your costs while still producing a fantastic video. It may take research to find the appropriate company to work with, but it’s worth the effort!